This is a growing project composed of playful, yet eerie pieces. It is influenced by a sense of the chaos, seduction, and danger and a reaction to coping with it. 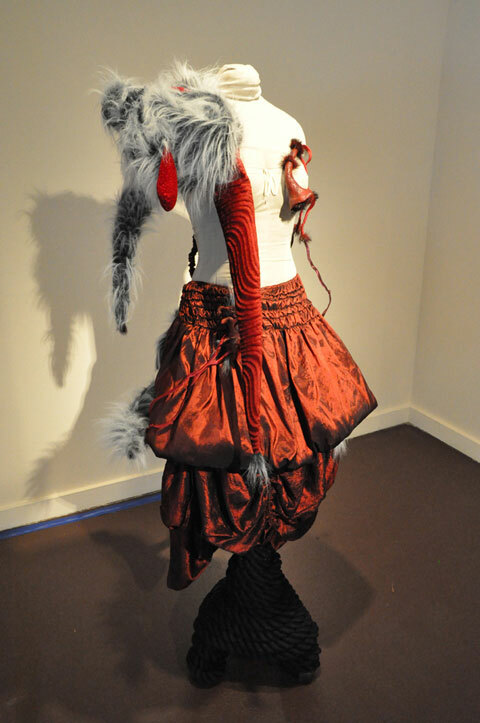 Medusa’s components are designed to be flexible; they can be worn or displayed as sculpture. 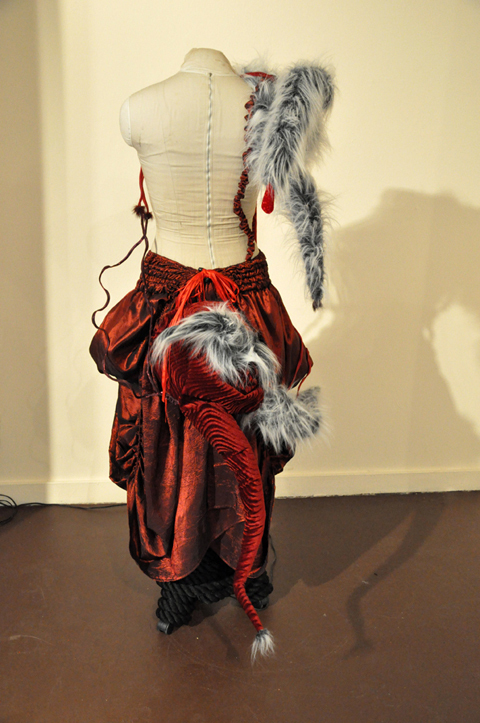 The long term vision is to create Medusa’s environment, performance and wearable kinetic sculpture. The electronic pieces are composed of soft sculpture on metal or wood skeletons, motion sensors, pressure, temperature or tilt switches, servos, motors and microcontrollers programmed to react to the viewer or wearer’s movement. To see video, see bellow or click here to go to YouTube.